The Messias colheita port from the good 1995 vintage has been aged in a barrel until bottling this year. The extended barrel ageing has given this wine a complex fusion of dried fruit and cedar notes. On the palate the wine is smooth and full bodies with plenty nuts and sweet fruit on the palate, fine balance. A tremendous finish which goes on forever. There's no question about the quality on display here. An excellent vintage year gave us the Messias 1983 bottle. Very impressive for the age of this wine. Powerful yet elegant, with a fine balance and fluidity. Although it is accessible now, this top effort will benefit from another five to ten years bottle age. A mature Port with developed aromas of wild fruits, chocolate, dried fruits and nuts. These aromas follow through on the palate and lead up to a long persistent finish. 1977 was a classic vintage, concentrated, long-lasting and complex. Declared by all the major Port houses. 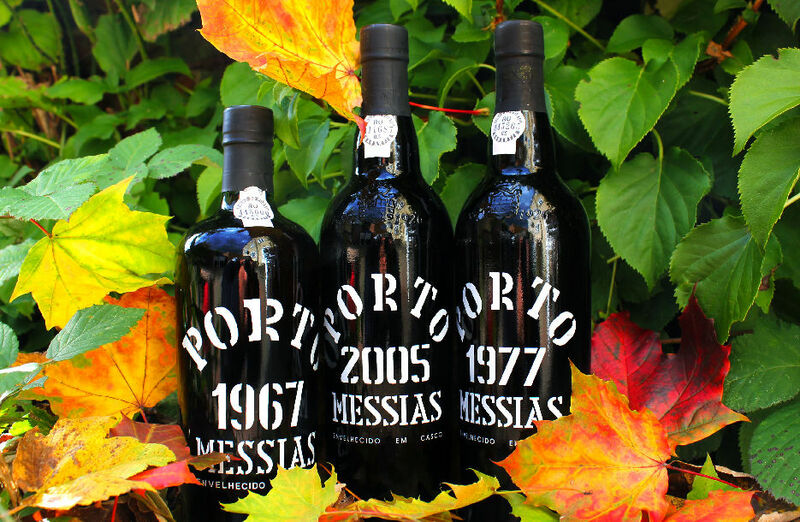 This port from Messias, is very well structured and balanced with good tannins that gives it great staying power. The nose is extremely elegant, with traces of cinnamon while the finish is spicy, warm and extremely long. A very rare bottle of Vintage Port from the good 1976 Vintage - these are the only bottles available in the UK and are a true rarity. Unlike the colheita ports from the same year, this wine has aged in the bottle for nearly 40 years (As opposed to a barrel). It is among the rarest category of ports and is a delight for the port connoisseur. Tawny colour. Caramel, coffee, figs and walnuts in the nose. Medium body. Mature and appearing in flavour - raisins and dried fruit in abundance. Elegant and complex with an attractive and good finish. VWP Tasting 2016. The Messias colheita port from the good 1968 vintage has been aged in a barrel until bottling this year. The extended barrel aging has given this wine a complex fusion of dried fruit and cedar notes. On the palate the wine is smooth and full bodied with plenty of nuts and sweet fruit on the palate, finely balanced. A tremendous finish which goes on forever. There's no question about the quality on display here.